SINGAPORE - Nanyang Polytechnic (NYP) graduate Shermin Shu hopes to realise her goal to build a fashion brand for plus-sized women by studying and working simultaneously under a new programme. Ms Shu is one of the 34 participants in the two programmes, which were officially launched on Thursday (May 19) by NYP and the Work Development Agency (WDA). 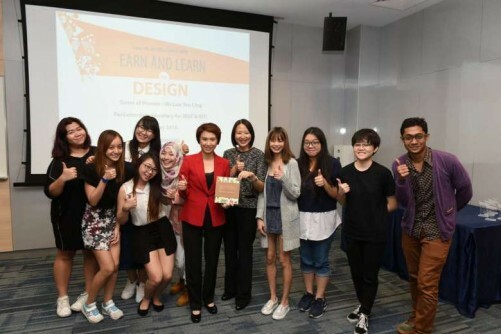 The programmes are SkillsFuture Earn and Learn Programmes for the design sector - one for visual communication and another for spatial design. They are offered to all five polytechnics in Singapore. Trainees will undergo a structured year-long work-study programme integrating classroom learning and on-the-job training. Other graduates like Ms Trudy Gold Lukam believe that the new work-study programmes will help prepare her for the working world. Said Mr Ben Sng, 38, general manager of talent management SME, ADFT, one the 25 firms involved in the programmes: "For small SMEs, we have little time and resources. The programme helps to groom staff before entering the company."